Book Eight in the Firefly Hollow Series. When Eli Campbell is discharged after an accident ends his career in the Army, he isn’t sure what kind of homecoming to expect. Shoot, he’s not even sure what kind of homecoming he deserves. He did a lot of stupid things as a teenager, and he made a lot of rash decisions that hurt several people. Regardless, he’s determined to set things right with his family, particularly his brother Noah. Then he meets Haley Buchanan, his physical therapist, and he’s turned head-over-heels. With a heart-stopping smile, a kind nature that’s like a balm for his soul, and enough sass and backbone to enchant him, she represents another example of a second chance he’d never thought to have—a second chance at love. Haley wasn’t expecting anyone like Eli to come along, particularly not as one of her patients. She’s not prepared for the longing and need he stirs up inside her, as her life is nothing approaching simple and uncomplicated at the moment. With the weight of her elderly, invalid grandfather’s care resting on her shoulders alone, she barely has time to breathe, much less fall in love. Once the professional complications are out of the way, though, she finds herself drawn more and more to Eli, coming to rely on his stability and warmth in a way she’d never expected. 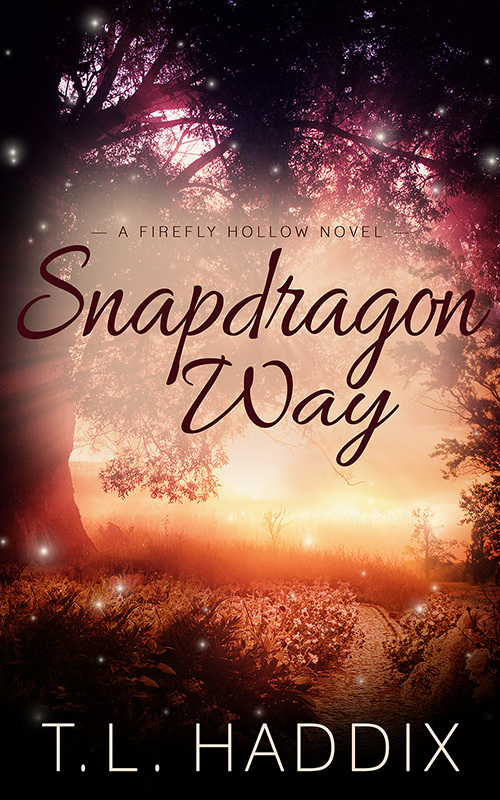 “Snapdragon Way” is the eighth book in the Firefly Hollow series, Women’s Fiction Romances set in Appalachia. Fair warning—it isn’t just a romance but focuses as well on the rebuilding of the devastated relationship between Eli and Noah. It’s about second chances and homecomings, forgiveness and hope.